← Why is Merlin in That Hideous Strength? Check it out, and feel free to agree–or more likely, disagree–in the comments below. I came out as someone who enjoyed the films, and there is some lively debate between myself, Crystal Hurd, and Charlie Starr. I suspect some of you will disagree vehemently. Feel free also to include your reviews in the comments below. Since we are here, I thought I would use this as a blogroll to capture the Tolkien blogs from from the last the last three years. 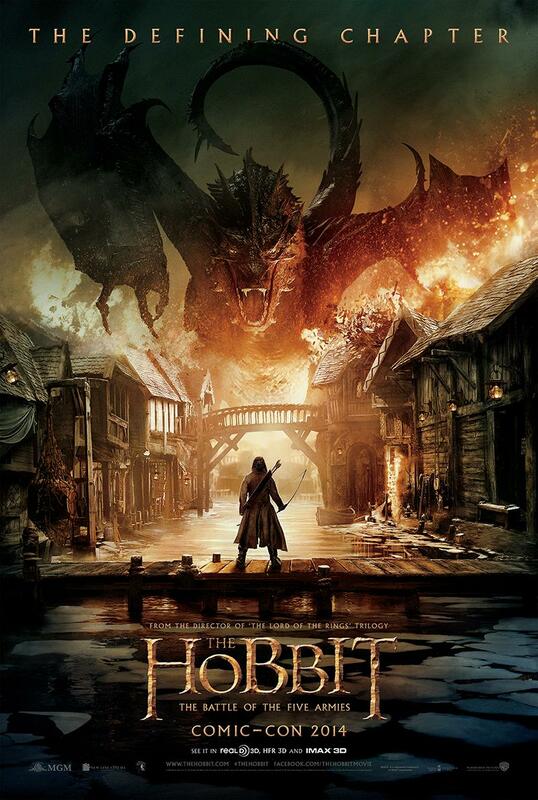 With the release of the third Hobbit film, The Battle of Five Armies, I instigated a Battle of 5 Blogs. Just as we are unclear exactly how many armies were actually fighting in Peter Jackson’s adaptation–even the book was a bit unclear–our 5 Blogger Battle became a 6-way fight. I blame Peter Jackson. 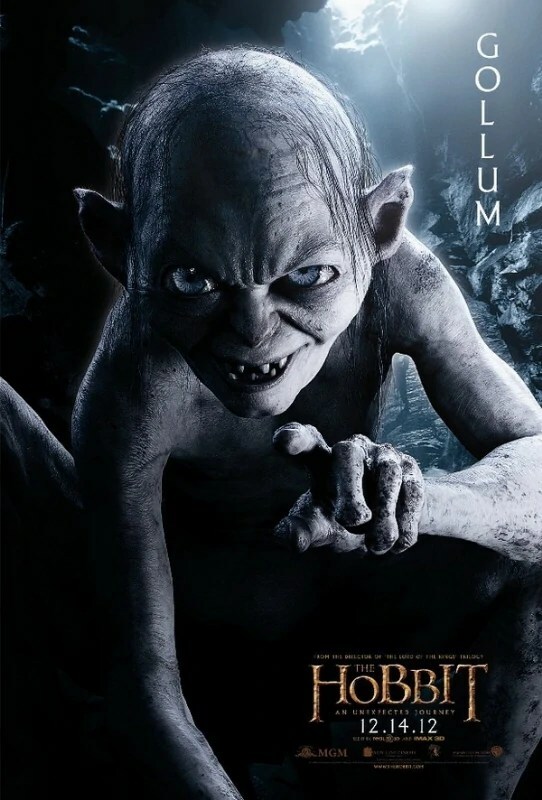 When the teaser trailer of the third film, The Battle of Five Armies, was released, I wrote “Faint Hope for The Hobbit.” I said above, in a sort of confession, that I quite liked the way the trilogy wrapped up. The huge comment section in the original blog shows not everyone agrees. “What Have We Done?” are the words breathed in the dying moments of the second installation of The Hobbit adaptation, The Desolation of Smaug. In this review I think about what it means to do film adaptations. 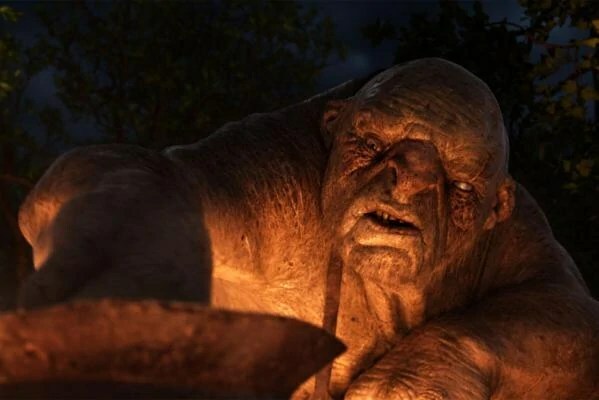 While I do not hate this Hobbit trilogy, I think that Peter Jackson just got lost a bit. There was no greater friend of The Hobbit in the early days than C.S. Lewis. In “The Unpayable Debt of Writing Friends,” I talk about how, if it wasn’t for Lewis, Tolkien may never have finished The Hobbit, and the entire Lord of the Rings legendarium would be in an Oxford archive somewhere. 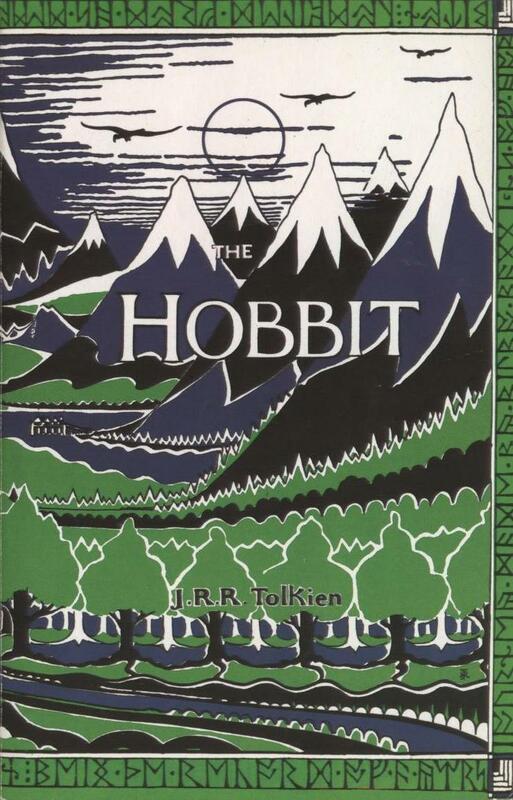 Lewis not only encouraged the book to completion, but reviewed The Hobbit a few times. Here is C.S. Lewis’ original review in The Times Literary Supplement. I realize as I do this survey that I haven’t written a review of the book! That’s okay: C.S. Lewis and my son are better sources anyway. One of my first digital exchanges was participating in The Hobbit Read Along–you can still see the great collection of posts online. Great posts never die; they only cease to fit in the Google algorithm. As I was doing this shared project, I was reading The Hobbit to my 7 3/4-year-old son. It was a great experience, but I made the great good mistake of doing accents to distinguish characters early on in the book. That’s fine when you’ve got oafish trolls or prim little hobbits. But a baker’s dozen of dwarfs stretched my abilities! You can read about my reading aloud adventures here. In reading aloud I was really struck by the theme of providence in The Hobbit. I’m sure others have talked about it, but “Accidental Riddles in the Invisible Dark (Chapter 5)” is a great example of that hand of guidance behind the scenes. It is one of things that Peter Jackson struggles to accomplish most in his films. He simply doesn’t understand Tolkien’s worldview. I talk about this a bit in the podcast. There have been many other illustrators since–including Peter Jackson. One of my favourites was captered in this reblog, “Russian Medievalist Tolkien“–a gorgeous collection of Sergey Yuhimov’s interpretation of The Hobbit. With the great new editions of unpublished Tolkien by his son, we also get to see some of Tolkien’s original art. 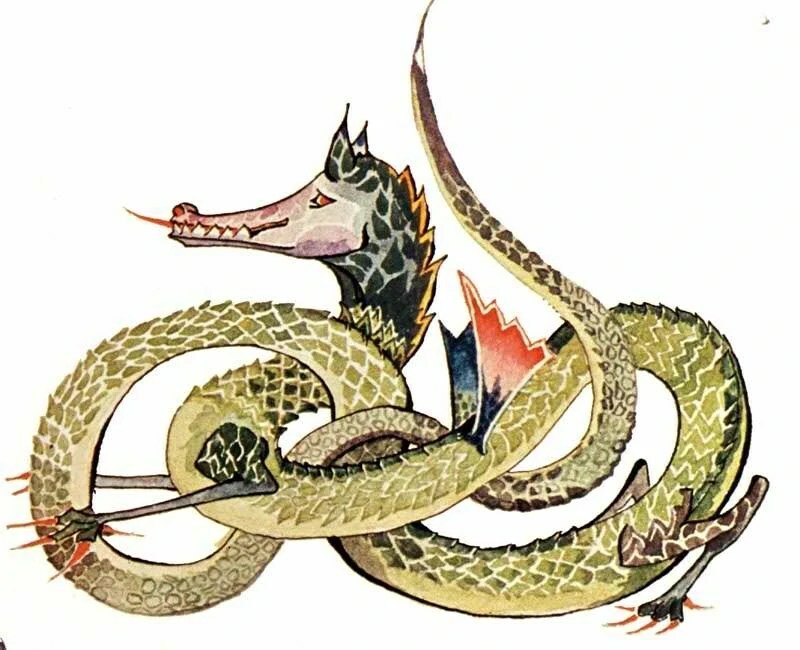 I continue to be fascinated by this dragon drawing. What an evocation of the Würme in medieval literature! Tolkien’s work is rich with reflection on the world. I would encourage you to read Jubilare’s reblog of the Khazâd reflection. It’s just the first of a great series, but shows you a bit of the depth of Tolkien’s world behind the world. Just the other day I took that legendarium a little further. In reading up on the Wizards of Middle Earth–the Brown, the White, the Grey, and the two Blues–it struck me how relevant Radagast the Brown is to us today. Do you agree or disagree? I’d love your comments. I’ve written other Tolkien Ideas reflections, like “Let Folly Be Our Cloak: Power in the Lord of the Rings” or “Affirming Creation in LOTR,” but this idea of providence is the most powerful to me (see above). We also talk about greed in the podcast (part 2, I think–next week! ), and I suggest that Jackson’s films as a whole and Tolkien’s Hobbit are an important parable on addiction. Because I can, and because some things are entirely meaningless, I will leave you with a quiz: What Character in the Hobbit Are You? You will not be surprised that I am Thorin Oakenshield! Enjoy! Discuss! Rebuke and share! 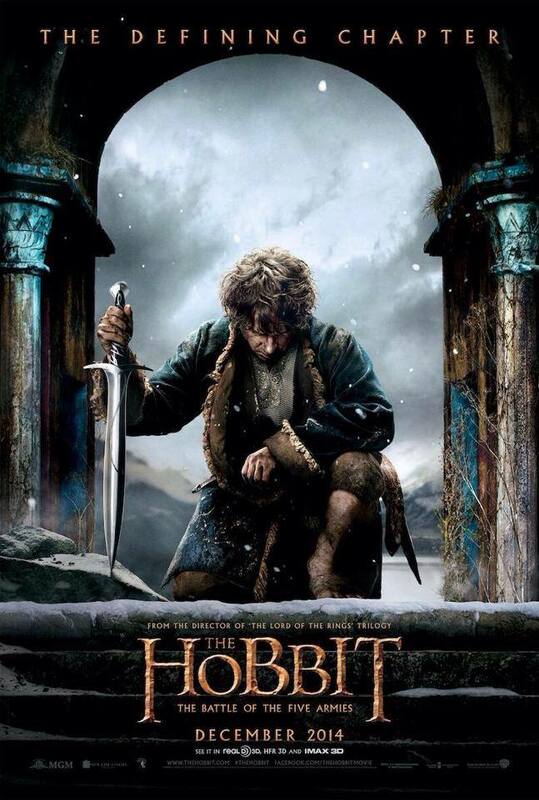 This entry was posted in News & Links, Reviews and tagged art, Bilbo, Blogging, books, C.S. Lewis, film adaptation, J.R.R. Tolkien, literature, Lord of the Rings, Peter Jackson, The Hobbit, trolls. Bookmark the permalink.